Are President Trump’s trips to Mar-a-Lago similar to Obama’s travels? President Trump’s travels to his Mar-a-Lago property in Florida are a frequent topic at town halls hosted by members of Congress during the April recess. We’ve been asking readers to send us fact-checkable claims from their town halls, and some readers flagged claims about the cost of Trump’s trips. Flake and Ernst shared their opinions in response to constituents’ questions. But Yoho’s response involved claims that merit a fact check. Did Obama go to Africa “quite a bit” with his family and friends? How does the $97 million figure for Obama’s travels compare with the $60,000-a-day figure for Trump’s travels to Mar-a-Lago? Presidential travel costs are not readily made public, so at the moment we just have snapshots of the total price tag. As you can imagine, presidential trips require elaborate planning and security measures, and the main costs involve transportation and Secret Service detail. 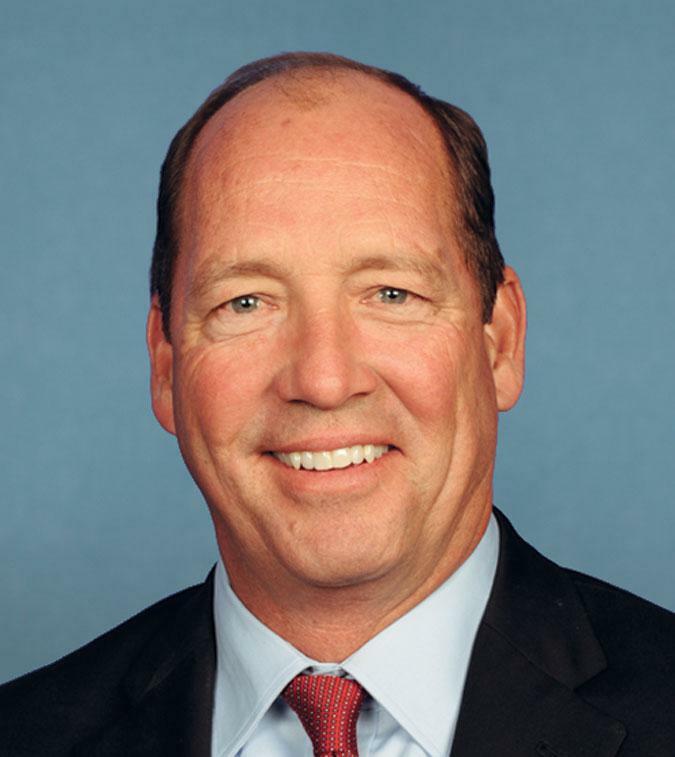 There were a lot of numbers in the exchange between the constituent and Yoho, so we’ll explain each of them. Obama’s $97 million over eight years: This is an estimate by the conservative group Judicial Watch, which tallied Secret Service and Air Force costs incurred during the former first family’s personal travels. Judicial Watch President Tom Fitton said the group tracked trips that were “political, leisurely or otherwise unnecessary,” including vacations to Martha’s Vineyard and travels during the 2016 campaign as Hillary Clinton’s surrogates. Obama’s $33,000 per day: This is $97 million, divided by eight years, divided by 365 days. Trump’s $3 million per day: The constituent appears to be referring to a number floating on the Internet for Trump’s cost per trip to Mar-a-Lago in Palm Beach. The figure, $3.6 million to be exact, comes from an October 2016 Government Accountability Office (GAO) report about Obama’s February 2013 golf weekend to Palm Beach. But as the Associated Press found, the trips are not directly comparable. Obama’s February 2013 trip included a stop in Chicago, where he gave a speech before going to Florida for his golf weekend. That stop added costs to the total estimate. Judicial Watch estimates Trump’s Mar-a-Lago visits at closer to $1 million, when calculated just with the estimated costs for Air Force One and Secret Service. But there is no documented figure. Trump’s $60,000 per day: Yoho is describing how much it costs Palm Beach County every day to pay for local law enforcement to work overtime when Trump visits Mar-a-Lago. As Yoho says, the county wants to levy a special tax on the resort to pay for the overtime security costs. That is only one piece of the total price of Trump’s Mar-a-Lago visits, and it excludes Secret Service or Air Force costs. Moreover, some of Trump’s trips to Mar-a-Lago are “working” trips, where he conducts some official business, such as hosting foreign dignitaries at his golf club. That means they’re not directly comparable to the purely leisurely trips tallied under Obama’s $97 million. Fitton said some Mar-a-Lago trips can be justified and wouldn’t necessarily indicate a misuse or abuse of presidential travel. Did Obama go to Africa “quite a bit” with his friends and family? Not really. Obama took three trips to seven African countries. That’s seven out of 58 countries he visited as president through both terms. President Bill Clinton visited 10 African countries, and George W. Bush visited 11. Bush visited once with his wife and two daughters, and another time just with his wife. Obama took his wife and daughters on his 2013 trip to three African countries, at an estimated price tag of tens of millions of dollars — possibly the most expensive of his tenure. The federal government provided all the resources, because the options in developing areas did not meet White House standards, The Post reported. That made the trip particularly costly. Clinton and Bush made similarly resource-intensive trips. Yoho’s staff did not provide a response or comment, but we will update this fact check if we receive one. There was a lot of interest at recent town halls about Trump’s travels to Mar-a-Lago, and how much they are costing taxpayers. Yoho, responding to a constituent with some inaccurate information, did not make an apples-to-apples comparison of Trump’s and Obama’s travels in the town hall. Yoho noted the daily cost of $60,000 for Trump’s Mar-a-Lago trips, vs. Obama’s $97 million in travel costs over eight years. But the $60,000 represents a fraction of the costs per trip; it’s just the cost to the Palm Beach County government. Some of Trump’s Mar-a-Lago trips involve official work, whereas the Obama family trips counted in the $97 million figure are ones that a conservative group deemed “political, leisurely or otherwise unnecessary” to taxpayers. So the two figures are not directly comparable. And while Obama’s trips to Africa were costly (as were the Africa trips of Bush and Clinton), he didn’t go “quite a bit” when you look at his Africa trips compared with the rest of his travels as president. 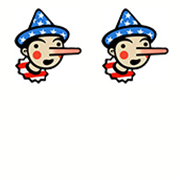 We award Two Pinocchios to Yoho. President Trump costs "$60,000 a day when he comes down" to Mar-a-Lago and "President Obama spent, what was it, $97 million in his eight years. … He went to Africa quite a bit." during a town hall in Palatka, Fla.